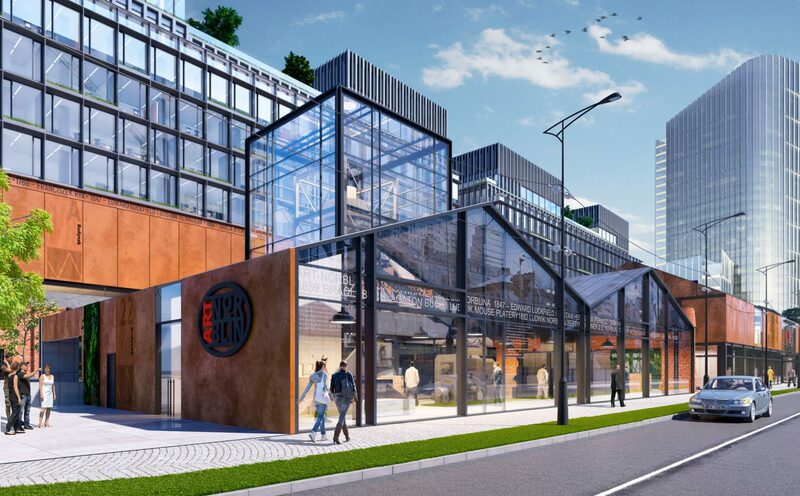 Capital Park is converting a former factory into a vibrant mixed-use scheme with office space, internal shopping streets, a bio-food bazaar and a food hall in the Wola district of Warsaw. 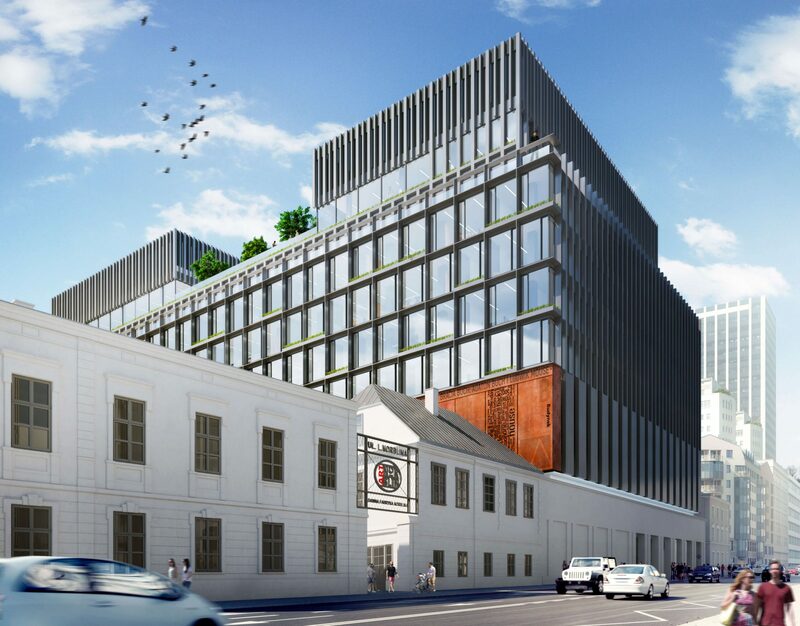 Tackling a large mixed-use restoration project is no easy feat, but Polish developer Capital Park plans to transform a former factory into a buzzing commercial and community space. There’s a popular video online which shows – speeded up – a building being moved about 15 metres to the side. The 900-ton structure is the westernmost relic of the former factory house of Edward Luckfield, a manufacturer from Berlin, dating back to the 1850s – part of the 2-hectare revitalisation project of the former Norblin, Bracia Buch and T. Werner factory on Żelazna street in the very heart of Warsaw’s Wola district. Its movement from its original position and then back again (in order to dig the underground car park) epitomises both the immense challenges of the scheme and the total dedication of its developer. The former Norblin factory scheme is the latest, and by far the most challenging, project by Polish developer Capital Park. With 16 years of experience in the Polish real estate market and a portfolio of properties worth 2.5bn zł covering 304,000 sqm in cities across Poland, that’s saying something. 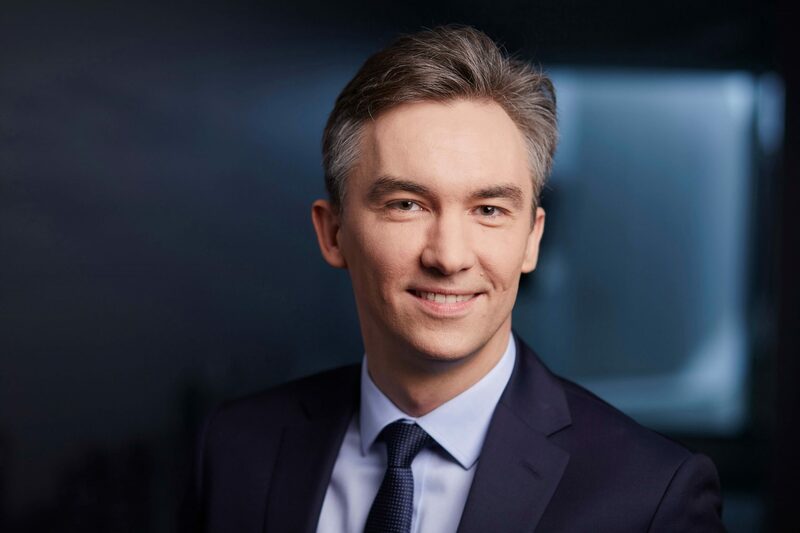 Marcin Juszczyk is a Board Member of Capital Park. 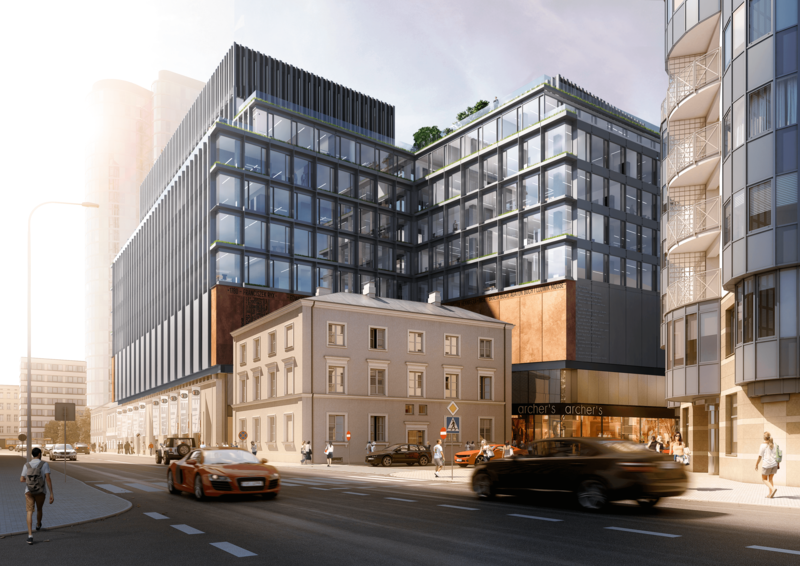 The Former Norblin Factory project took a significant step forward in January 2019 when the European Investment Bank (EIB) signed a €60m loan deal to help finance the conversion from brownfield site to a mixed-use scheme, which represented the bank’s first transaction in Poland with a real estate investor under a project financing scheme. The project, said Vice-President Vazil Hudák, responsible for EIB operations in Poland, “is very much in line with the Urban Agenda approved at EU level in May 2016 through the Pact of Amsterdam, a pact which calls on different players to work together to stimulate growth, livability and innovation, and tackle social challenges in Europe’s cities.” It is an example, he continued, “of how a city can develop by revitalising old, underdeveloped spaces without eating into new ones.” Before the EIB’s involvement, the sole lender supporting the project was Polska Kasa Opieki SA, which initially committed close to €160m, but as a result of the EIB loan, the Polish lender has reduced its commitment to €99.3m. Capital Park plans to integrate with the city in several different ways. For example, only a limited portion of the 4-level-underground, the 720-space car park will be dedicated to the exclusive use of office tenants. The rest will be open to the public at all hours of the day and night. And, in cooperation with the city authorities and the developers of EC Powiśle and Koneser, two other urban regeneration projects in Warsaw – the first on the west bank of the River Vistula, under development opposite the Copernicus Museum, the latter in the former Vodka distillery in Praga – they plan a ‘red brick road’ (Szlak Czerwonej Cegły) route along the east-west metro line (each project is within a hundred metres or so of a metro station – in Norblin’s case, between two metro stations at Rondo ONZ and Plac Daszyńskiego). “Visitors could start with us and end up at the Vodka Museum,” says Joanna Zielińska, Investor Relations Officer at Capital Park, smiling. “We want to offer both city inhabitants and tourists another Warsaw experience – each project has a lot to offer,” she adds. Joanna Zielinska is the Investor Relations Officer at Capital Park. Capital Park has a track record of individuality, and from each project, they gain important experience. One such example is their over-36,000-sqm Royal Wilanów office scheme in the southern-Warsaw residential district of Wilanów, next to Wilanów Palace and about 10 km from the city centre. “When we built the project everyone said it was in the middle of nowhere,” says Juszczyk, “but we believed in the location, and now it is almost 100% leased. What we learned from Royal Wilanów is how to create and manage a public space. It is always thriving, especially in summer, when we have a summer cinema and put on concerts. We even constructed a temporary squash court, snow park and ice skating rink. We learned that it’s vital we are fully involved.” Another example is the conversion of the Hampton by Hilton project in Gdańsk, where they learned about converting a former cinema into a modern hotel. Capital Park’s priority at present, however, remains the conversion of the former Norblin metals factory in Wola. If you hear a buzzing sound on your approach to Capital Park’s Royal Wilanów or Eurocentrum office projects, that will be the bees on the roof, busy making honey. 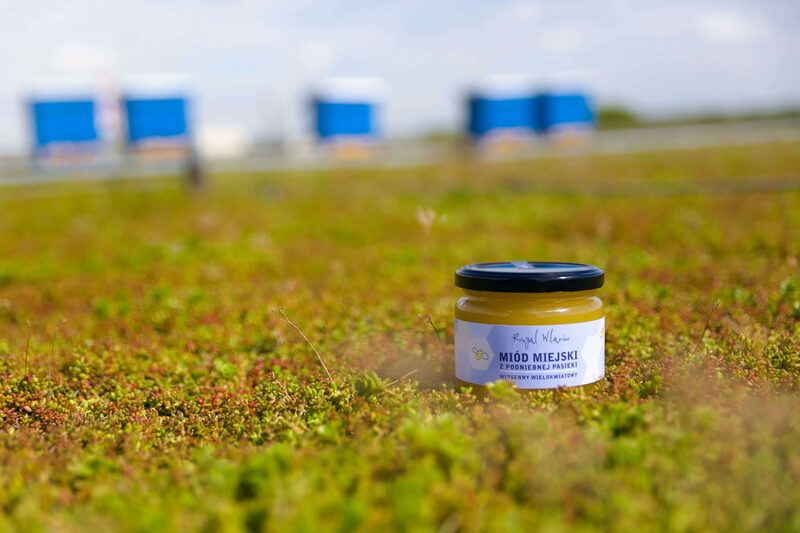 The company runs two apiaries as part of the ‘Office Plus’ programme, an initiative which – among other things – organises environmentally-positive activities including under the so-called ‘urban farming’ trend. Honey from both sky apiaries is available at the pszczelarium.pl online store and at the Eurocentrum reception. 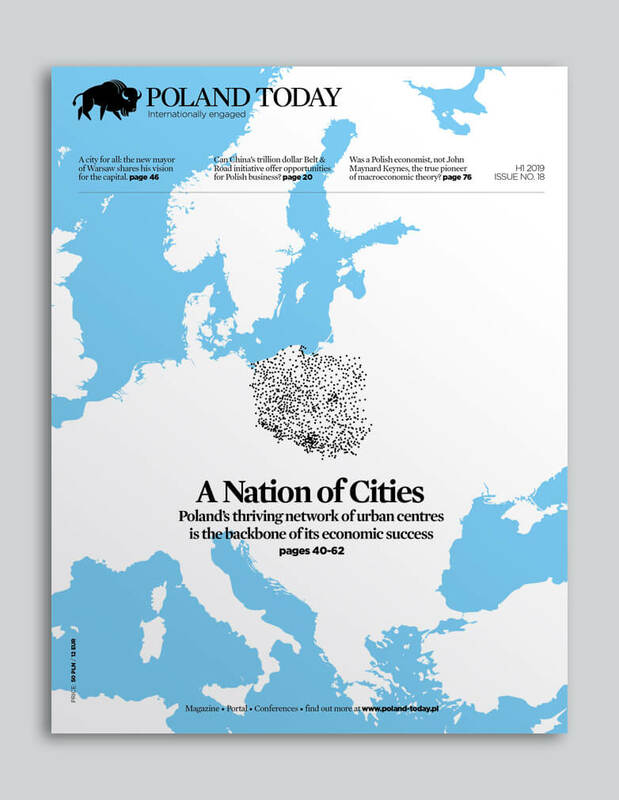 PT LIVE: The Race for Global Talent: Can Poland Compete?